Think about something you may have purchased online in the last month. Maybe you bought a new coat or signed up for a music streaming service. When you do that, you are entering sensitive information such as your card details and other personal information. You might assume that your information is secure, but this may not always be the case. It's easy to forget that the information you submit may not be encrypted, meaning it is easier for hackers to intercept that information. It's not just when you're shopping online either. If you fill out a form on a website, the information you submit can potentially be intercepted by hackers. Whether you're an engineering company, clothing manufacturer or anything in between, your website needs to be secure for the users. How can you be sure that all the information you receive from your potential customers remains secure? The answer: SSL. The majority of websites you visit will have 'https://' in their URL. Some will have 'http://', which stands for Hyper Text Transfer Protocol. The 'S' stands for Secure. Websites with the 'S' will have an SSL certificate. SSL is a cryptographic protocol that encrypts data and provides a secure channel between two devices operating over the internet or on an internal server. SSL ensures that the data sent is protected, the server is authenticated and that the data submitted is actually what is delivered. To put it in simple terms, you are sharing data with another authorised party and SSL is what stops any unauthorised parties from looking at the data themselves. Google now marks websites without an SSL certificate as not secure! 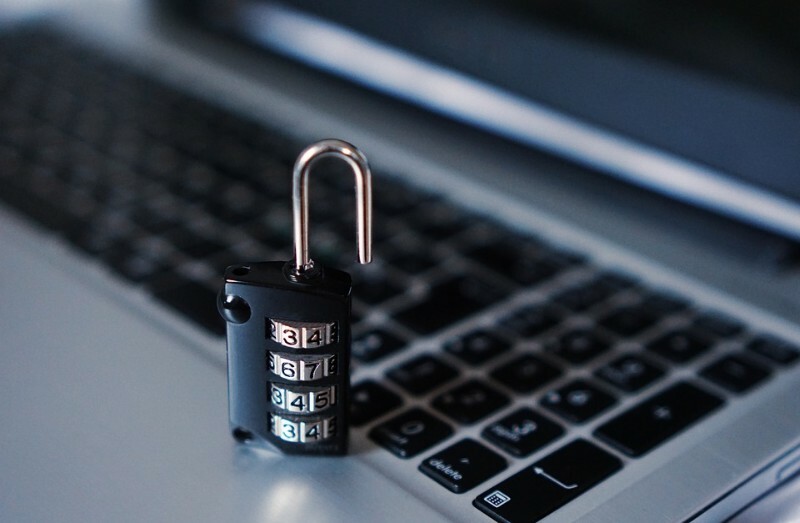 Any website on which you can enter personal information, such as login details, that doesn't have an SSL certificate will display a warning that information you enter is not secured and could be compromised which could have a real detrimental effect on your business. What Are The Benefits Of Having SSL? The list of benefits of having SSL on your site can't be ignored. First off, an obvious one: you are keeping all the data entered on the website secure. This increases the level of trust your customers have for your business. We are now becoming more and more security-aware online so the majority of people that go onto your site and see a security warning are much less likely to actually provide any information or stay on your site at all. Have you ever purchased anything from a website after seeing a 'not secure' warning? I know I haven't! SSL provides peace of mind. The benefits also extend to actually being more likely to get noticed online. Websites with SSL enabled are preferred by Google. A website with HTTPS enabled is more likely to appear higher in search results than a website with similar qualities that doesn't have it enabled. This all goes back to Google constantly updating its algorithms trying to provide the best user experience possible. Adept security is a part of a good user experience. Essentially, if you want to earn the trust of potential customers and rank well in search engines, having SSL enabled is vital. On top of this, if you want to be GDPR compliant, you need SSL enabled. Now, the GDPR regulations don't specifically state that all websites need to have SSL. However, if your website collects information from customers, the chances are you need SSL enabled to remain GDPR compliant. This is because, as the data controller/processor, you are responsible for keeping information secure and protected. How many domains need an SSL certificate - Is all your content hosted on one platform or multiple platforms (such as on separate domains or subdomains)? If so, you may need numerous SSL certificates to ensure they are all secured. Which industry you operate in - Regulated industries such as the financial and legal sectors come with certain requirements which dictate what type of SSL certificate will be required for a website. The cost - There are SSL certificates you can obtain for free, but these would be standard SSL certificates that won't remain valid for very long. Free SSL certificates often last for around 90 days so you would have to ensure to keep it up-to-date. It is advised that if you choose this option, you should have someone with knowledge of the DNS and setup of your website to deal with it. The cost of most SSL certificates ranges from £50-£200 depending on how many domains you want to certify. The validity period - The majority of standard SSL certificates will remain valid for up to two years. A lot of domain providers may offer the option to renew every 90 days. Let's Encrypt, for example, offers an auto-renew service when a 90-day SSL certificate is set to expire. To find out more about SSL certificates or to enquire about getting an SSL certificate on your website, get in touch with a member of our team today!